Rooms from $45.13 per night. A year-round outdoor pool and well-equipped rooms with free Wi-Fi are found at the Magnolia Inn Kingsland which has easy access to the interstate and Georgia's coast. Free Wi-Fi cable TV with HBO and ESPN microwaves refrigerators and coffeemakers are available in all 44 exterior-corridor rooms at this two-story property. The hotel has a continental breakfast where guests can grab a bite to eat in the morning. Relax in the South Georgia sun by the outdoor pool open year-round. A business center in the 24-hour lobby offers fax and copy services. Pets are allowed for a fee. 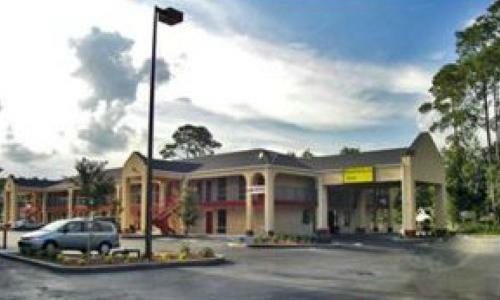 The hotel is just off I-95 within a five-minute walk to chain restaurants. St. Marys historic downtown and ferries to Cumberland Island where wild horses still run free are less than nine miles away; Kings Bay Naval Base is about eight miles away. Okeefenokee Swamp Park is 34 miles away. Jacksonville International Airport is about 30 miles from the hotel. Add Magnolia Inn Kingsland to your free online travel itinerary.